Often on returning from work, Colman Pereira finds cars and bikes parked haphazardly right outside his ancestral home in Pali Village, Bandra. In what used to be a pristine hamlet of small cottages, high-rises and commercial establishments have sprouted over the last decade, bringing with them crowds, traffic and other annoyances. To add to this, the Brihanmumbai Municipal Corporation now proposes to label the historic gaothan, or a village-like settlement, a slum. Predictably, its decision to identify 189 gaothans and 36 koliwadas, or fishermen’s colonies, in Mumbai as slums and clusters hasn’t gone down well with the locals. The slum label hurts the people, known for their laidback lifestyle, because they are tax-paying home-owners and have sanads (land agreements), some of which date back to 1857. The move is “driven by the greed of political bureaucrats and builders and not the need of the common man,” claims Alexander D'Souza, president of the International East India Council. “They are looking at vertical development and gaothans are among the last remaining horizontal developments.” Anslem Pereira, a photographer and resident of Marol gaothan, says he has already received two enquiries from developers checking if homes are up for sale. However, on Wednesday, the Maharashtra government announced the scrapping of the Mumbai Development Plan in its current form, and has asked BMC to rework and submit a new one in four months. Even so, it has stirred pent-up anguish among many inhabitants. History is on their side. Around the 15th and 16th centuries, the Portuguese empire gave up islands in the southern end of the region to the East India Company, because they felt the fertile spaces in the north better supported their trading activities. A study by URBZ, which researches urban spaces, notes that villages emerged from Vasai all the way up to Mahim and Bandra. These were among the earliest residential areas of the city, predominantly occupied by the East Indian and Koli communities, the original settlers of Mumbai. The population mainly comprised Kolis (fisherfolk), Kunbis (farmers), Bhandaris (toddy tappers) and Agris (salt pan owners). Although they live on the western shores of the country, they took up the name “East Indians” around the time of Queen Victoria’s golden jubilee, reportedly to define themselves as North Konkan Catholic subjects of the British government, distinct from the Portuguese-ruled Goan Catholics. Don’t mistake the gaothans for ghettos, says Alphi D’Souza, head sarpanch of Mobai Gaothan Panchayat. During his research in 2008, Rahul Srivastava, co-founder of URBZ, found that elderly residents of Khotachiwadi had remembered the village being referred to as a slum. The gaothans, he says, are in fact excellent examples of homegrown neighbourhoods with a variety of structures. Low-caste labour communities rented land and created hamlets there because they could not afford to live in the more expensive southern parts of the island. At the same time, upper-caste Catholics built rural wadis, chawls and rich bungalows. There is only a small variation in the physical form of village-style homes and what are considered slums, says Srivastava, which causes identity confusion. 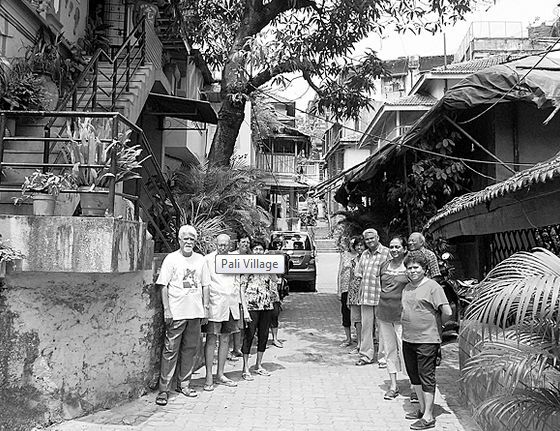 The large bungalows, however, were built for posterity, says Pali Village’s Colman. The architecture of the old structures is largely Portuguese-influenced and includes big windows with stained glass patterns, sloping Mangalore-tile roofs and balcaos (porches). According to several accounts, the 189 gaothans have shrunk to around 88 with rapidly urbanisation. Some villages like Khotachiwadi and Matharpacady, which are marked heritage precincts, are reportedly out of the purview of the Mumbai Development Plan. But others in prominent parts of the city, including Juhu, Bandra, Andheri and Versova, would likely be affected. The problems in mapping, some showing new roads cutting through homes and church grounds, allegedly cropped up because the municipality authorities did not visit the region for the survey. “They relied on satellite images, in which houses appear close together just like in slums. But our homes are hundreds of years old,” says advocate Godfrey Pimenta, a resident of Marol gaothan. He says the cottages used to be built in proximity to provide security against banditry. The space around the homes was left for agriculture. As people left farming for jobs, more homes appeared. Even on a ruthlessly sunny afternoon, the Marol gaothan offers shade and a gentle breeze. The homes are simple, squat and not uniformly well-maintained. The typical symbols of a gaothan are all there: a grotto, crosses and a church. Among the villagers is 62-year-old Mary Fernandes, retired lawyer and social worker. One of her sons, also a lawyer, moved into an apartment complex nearby and suggested she join him. But Fernandes is used to having an open door and verandah with neighbours dropping by often. “I would miss it too much,” she says. Despite the influx of new people, a majority of the locals are childhood friends. While the bungalows in Bandra are largely maintained in the old style, the ones in Marol have had piecemeal repairs because the residents could not afford full restoration. Wooden ceilings and columns ruined by white ants, for instance, have been redone with brick and mortar. The East Indians take great pride in their marriage ceremony, food and music. The sheen of community celebrations has somewhat faded as most residents are ageing now, with children having migrated. Economic needs drove a number of them to give up homes for redevelopment or on rent to offices. Pimenta, who also runs the NGO Watchdog Foundation, says the original settlements need to be protected. “If elsewhere in Asia the governments have zealously preserved the history of local villages, then why is BMC/state government bent on destroying the identity of gaothans, koliwadas and Adiwasi padas?” he asks, citing the villages of Zhujiajiao in Shanghai and Kat Hing Wai in Hong Kong as example of inhabitations that have thrived even in bustling cities. Big buildings are seen as trouble by the city’s koliwadas as well. 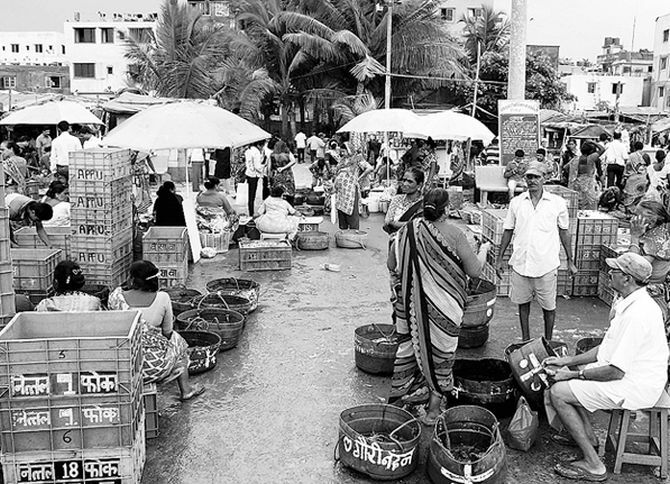 Pradip Tapke, a fisherman and lifelong resident of the Versova koliwada, says business in the biggest fishing village halved last year. He partly blames it on the sewage in the sea. “All this garbage comes from the towers around,” he says, pointing to skyscrapers in the distance. The number of boats out at sea has reduced too. Each boat feeds 50 families, says Sharad Bhave. With their earnings shrinking, many have turned to leasing rooms after adding a storey or two on their ancestral property. The result is a mix of new, overbright structures sharing space with dusty rural cottages.